The Adirondacks- A premier four season travel destination hot-spot! Adirondackvacations.net has a variety of Adirondack lodging facilities that are sure to suite your needs and your wallet! Discover adventure, beauty and tranquility in the Adirondacks! Relax at a quaint, yet luxurious Adirondack Inn or choose from a variety of rustic Adirondack cabins, nestled amidst the majestic Mountain landscape and overlooking the pristine lakes! Are you a nature lover and enjoy the fresh mountain air? Camping in the Adirondacks is an experience that is sure to leave you coming back for more! Pack up your sleeping bag, tent and lantern and head out to the wild outdoors- choose an Adirondack camping site near the water, or at the base of a towering mountain! Adirondack Getaway & Seasonal Packages... Fern Lodge offers exquisite Adirondack Hotel resort lodging in the heart of the Adirondack Mountains. Browse our specials and getaway packages designed to combine luxury and relaxation! Call The Fern Lodge at (518) 494-7238 for availability or reserve your room online. Looking for a romantic get-away? Surprise your special someone with a unique room package at a stately Adirondack Hotel. Enjoy each other's company and a fine glass of wine on your private balcony, while counting the stars up above. There is bound to be a hotel, motel or inn that suits your preference, budget and needs. Enchanted by the region and interested in Adirondack vacation rentals possibly for the summer or winter months? Why stay for only a night or two? With renting a cabin or lakefront property, you can come and go as you please! Looking to move to the Adirondack region? 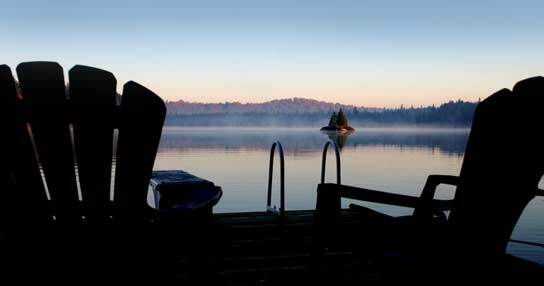 Choose from an extensive list of Adirondack real estate- make a piece of heaven your very own! Make your vacation unique and memorable and book your stay in the Adirondacks. Whether you choose to vacation at an inn dating back to the 1700’s, a sophisticated and stately Adirondack Bed and Breakfast, or simply would rather relax in your vacation rental—you will not be disappointed.